Bulldogs play hide and seek! Rugby league teams aren’t generally known for their hide and seek abilities. 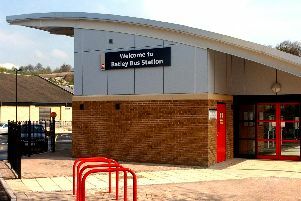 But Batley Bulldogs are hoping to change that with an unusual competition to win tickets for their championship clash with Bradford Bulls this weekend. The club has hidden a family ticket somewhere in Batley or Birstall, and is tweeting clues as to its wherabouts throughout the week. The match with Bradford Bulls kicks off this Sunday at 3pm in the Fox’s Biscuits Stadium. For more information on the competition, visit Batley Bulldogs’ twitter page @BatleyRLFC. All we ask is if you are the one to find it please send us a selfie with the ticket!